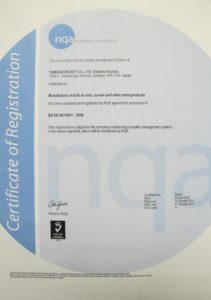 Renewed ISO 9001/14001! | YAMAGUCHI NUT co.ltd. YAMAGUCHI NUT co.ltd. 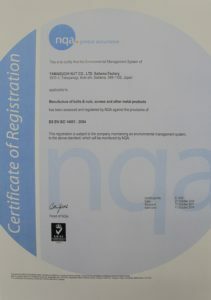 TOP　→　Information　→　Renewed ISO 9001/14001! YN Received "Exceptional" from John Hassall, Inc.! President Yamaguchi received MOT Award! 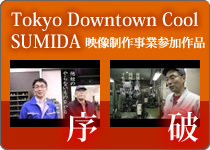 Technological Development Award given by Honda Lock Mfg. 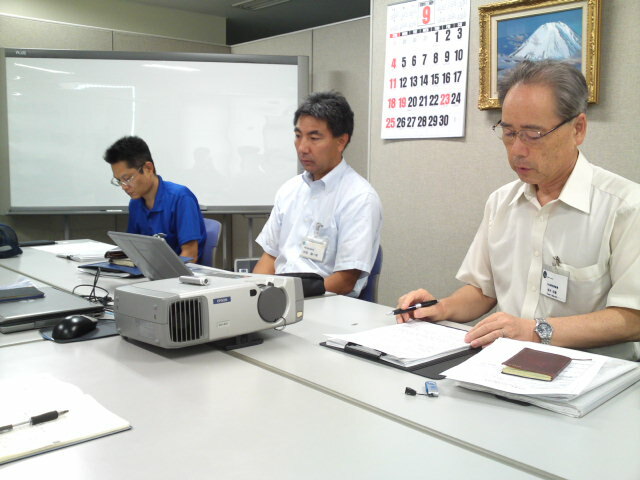 Co., Ltd.
We had a reassessnebt of ISO on Sep. 1st and 2nd in 2011. It ended up successfully and we received new certificates. « President Yamaguchi received MOT Award! © 1998-2018 YAMAGUCHI NUT co.ltd. All Rights Reserved. ※This site, Internet Explorer 6 or higher, please visit.